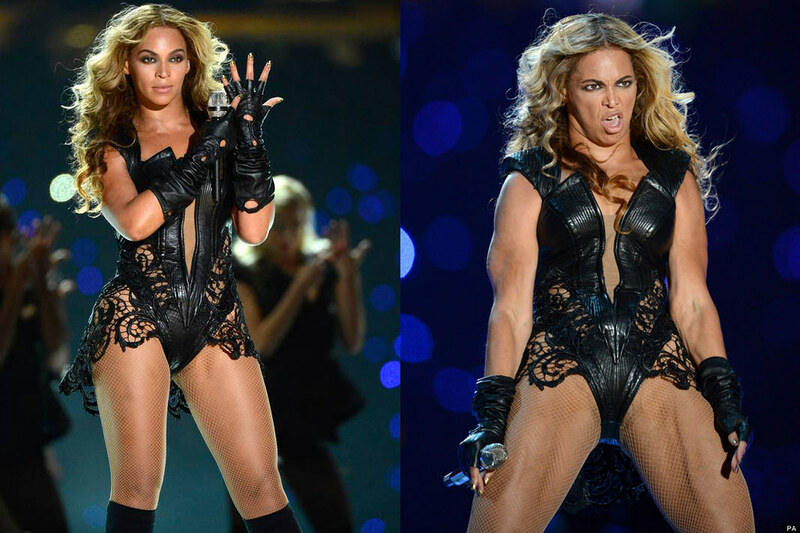 About That Beyonce "She-Hulk vs She-Man"
You know, it hadn't exactly dawned on me the above-right image was Beyonce, when I first laid eyes on it - I thought it was Britney Spears gone all-steroids! Then when I saw the above-left gorgeous image on USA Today, than I had realized the diabolicalness of the doctored image (or is it? 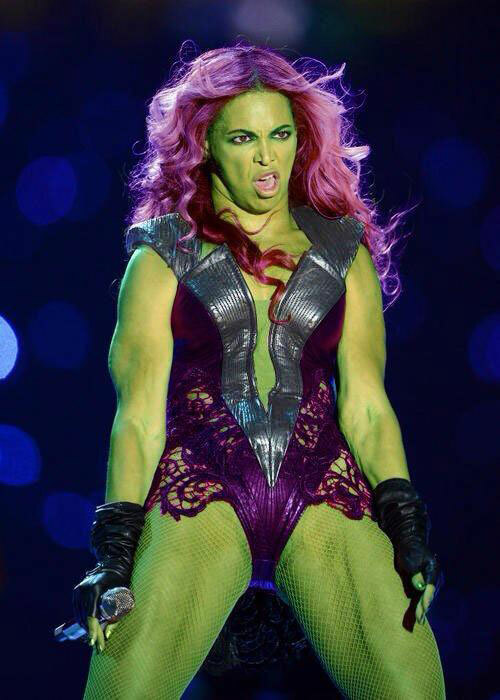 hhmmm) … then when the SHE-HULK manip-pic spread on Facebook, it was to be all-out hilarious, tho somehow a quasi-fitting "costume" She-Hulk had on, IMHO! But then again, I do so prefer the "She-Man" on Battlecat tho … heh. Happy 2nd Day of Chinese New Year, folks!